JAXPORT invites all Northeast Florida small businesses to participate in the port’s inaugural Small and Emerging Business Appreciation Day event on Tuesday, Feb. 5, from 8 a.m. to 4 p.m. The event will be held at the JAXPORT Cruise Terminal in North Jacksonville. The free daylong seminar will offer small business owners and employees in-depth procurement training sessions, local resources and networking opportunities. 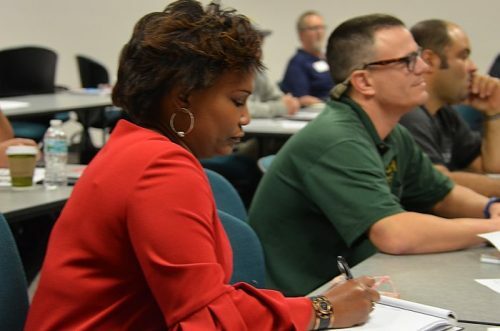 Small business operators will also have the opportunity to connect with contract opportunities available at the port, the City of Jacksonville and other area public agencies. JAXPORT is committed to promoting equal access to all capital and procurement contracts. During the past four years, JAXPORT payments for work by certified Jacksonville Small and Emerging Businesses (JSEB) have topped $21.8 million. The continued growth of the port’s cargo volumes offer the prospects for further JSEB opportunities. Click here to reserve your spot at JAXPORT’s Small Business Day event.